Desiree Ivey, Executive Director of Teacher Training at Shady Hill School in Cambridge, MA. As Executive Director, she leads the school’s graduate-level teacher preparation program as well as partnerships with public schools, Lesley University, and the Massachusetts Department of Elementary and Secondary Education. 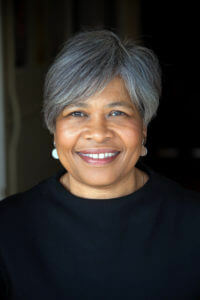 She is a board trustee at Belmont Day School and former board member at the Gordon School and the Association for Independent School’s New England (AISNE). Desiree holds a B.S. Art Education from Morgan State University, M.A.S. from Johns Hopkins University and M.Ed. from University of Massachusetts-Boston. Her favorite children’s book is Ceci Ann’s Day of Why by Christopher Phillips.